Disasters influence human lives on a large scale. In 2017 only, 441 disasters killed 13,310 people and directly affected approximately 93 million individuals around the world (Centre for Research on the Epistemology of Disasters n.d.). Nonetheless, it remains understudied how these tragedies impact survivors’ leisure lives. Survivors may suffer increased constraints to leisure in their post-disaster lives (Crawford et al., Leisure Sciences, 13, 309-320 1991), while being able to negotiate such constraints so that they can maintain leisure participation (Jackson et al., Leisure Sciences, 15, 1-11 1993). Also relevant may be leisure facilitators (Raymore, Journal of Leisure Research, 34(1), 37-51 2002) that enable survivors to enjoy leisure pursuits. 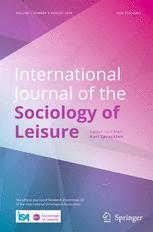 This study examines effects of the Great East Japan Earthquake and tsunami on survivors’ leisure lives through the theoretical lenses of leisure constraints, constraint negotiation, and leisure facilitators. One-month field work in the disaster-stricken area was conducted, from which 16 survivors and five disaster volunteers were recruited to subsequent semi-structured interviews between June and July, 2012. An analysis of interview data, guided by grounded theory, suggested that disaster-related life events (e.g., bereavement, destruction of home, and displacement) created situations where survivors struggled with finding meaningfulness of leisure activities and dissociated declining resources from the use for leisure purposes. The analysis also indicated that survivors negotiated these constraints by resisting confining norms and reattaching positive meanings to leisure. Furthermore, survivors encountered two major leisure facilitators: causes for leisure participation and enabling others. The findings are discussed in light of leisure constraints, constraint negotiation, and facilitation as well as implications for practitioners in disaster-stricken areas.